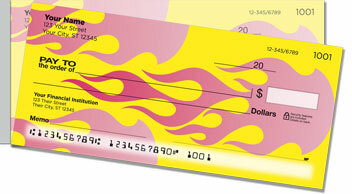 Make a fiery fashion statement with this red-hot personal check design available exclusively online from CheckAdvantage! They'll remind you of hot rod cars with impressive decals or the flames that come shooting out of a jet engine. This design is perfect for rock stars, rebels and adrenaline junkies with an edgy style and a badass attitude. 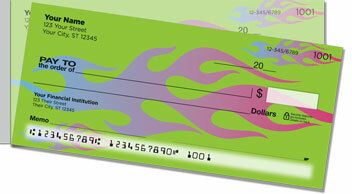 Flame Graphic Side Tear Checks from CheckAdvantage feature colorful artwork that will set your checkbook ablaze! 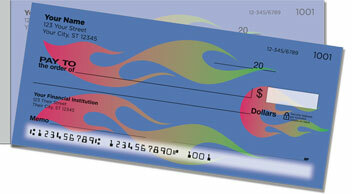 Plus, the handy side perforation makes it easy to remove your new checks without any unwanted ripping. 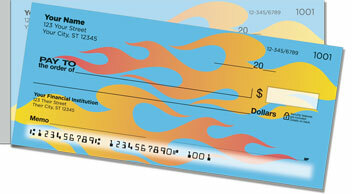 Get your very own Flame Graphic Side Tear Checks now! 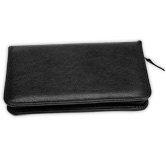 Complete your order by adding matching return address labels.